CenterPoint Business Advisors is pleased to welcome Kathy Sarvary as a new Strategic Acquisitions client. 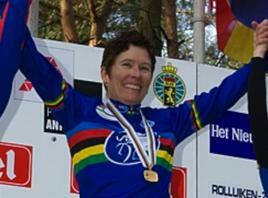 Kathy is a world class Cyclocross competitor and two-time gold medalist. Kathy is a former Financial Services Executive with a strategy to acquire a large, retail sporting goods operations with a single or multiple locations. For more information about Kathy Click Here.